After that the vCenter and the ESXi part are upgrade, you can work on the VM part. The VM upgrade is the easy part, but it require VM downtime, so must be planned well. For the VMware Tools you can also start when your first new ESXi is available and up-to-date (because new version could work also on old ESXi). For Linux VM no reboot is required, but for Windows a reboot is requited and is automatically performed when you use the automatic upgrade. Note at after that, all future VMware Tools upgrade will be without reboot also on Windows (honestly this is not completely 100% true… for example on a virtual vCenter Server there was an unexpected reboot). Note that the new GUI on Windows is really minimal! 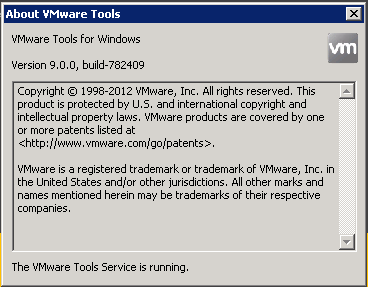 Also remember that you can use VUM to perform an automatically and massive VMware Tools upgrade. Otherwise you can keep you existing version. Note that new VM are simple with virtual hardware 8 (to keep compatibility with vSphere 5.0). Also in this case you can use VUM (when all host are upgraded) to perform a massive and unattended upgrade. For more information see also this post on the official blog: Managing Virtual Hardware Versions During a vSphere Upgrade.